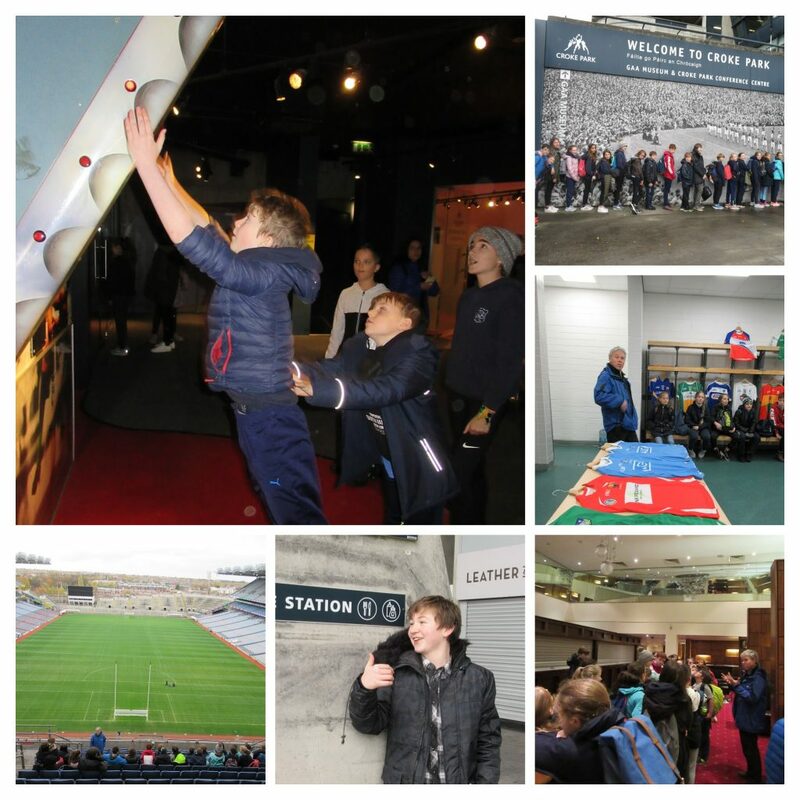 On Thursday November Form Six went to Croke Park on a school trip. As part of the trip we got a tour and a viewing of the museum. When we got there we met are tour guide, Aaron. Aaron brought us to the conference room where we saw a ten minute video of some of the history of Croker. After we saw the video we went to the tunnels, this is where the buses with all the players come through. We walked around the whole tunnel and made it to the dressing rooms. In the dressing rooms we all sat in front of a team’s jersey and had our pictures taken, we also learnt that Stephen Cluxton (Dublin goal keeper) always sits in the same spot before a match. Soon after the dressing rooms we went to the warm up room where the players would hit a ball or sliotar around before a game. Aaron said, depending on the team, they would either hang up county flags or play music to make them feel at home. Then we ran out onto the pitch with a simulated crowed chanting and screaming. When we got out on the stands we lifted a replica of the Sam Maguire cup and got pictures taken again. Then we sat in the V.I.P area and some people, including me, sat in the President’s (Micheal D Higgins) seat. 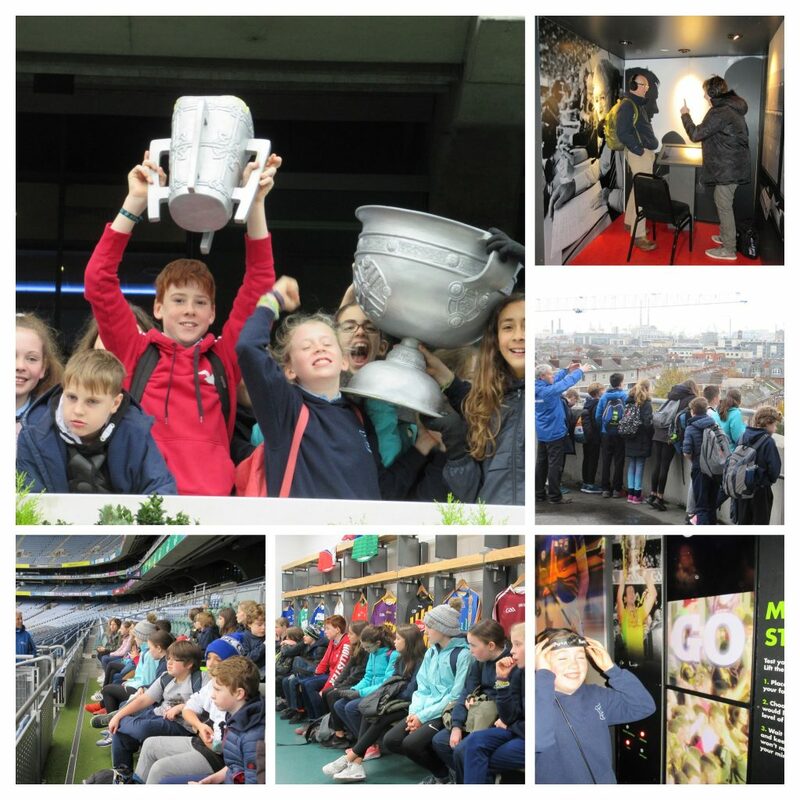 After the tour we went to the museum and saw the Sam Maguire and a lot of other cups. Then we went to a room full of fitness games such as how hard you can hit a sliotar or Gaelic ball, or how high you can jump. In my opinion this was a great trip and I would definitely recommend it to everyone.